You just got bumped, now what? It pays to know your rights, and to be a little sneaky, when you're bumped from your flight involuntarily. To prevent being bumped, it also pays to get to the airport early. 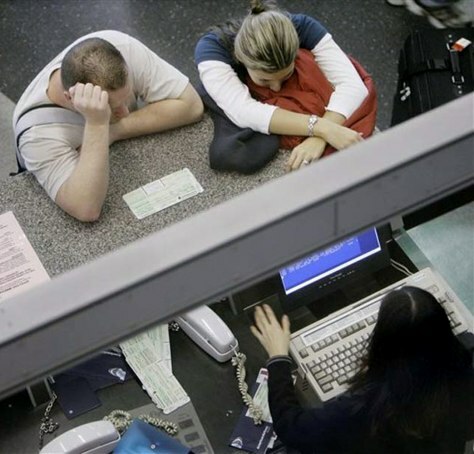 In this photo, passengers look for a new flight at Chicago's O'Hare International Airport.